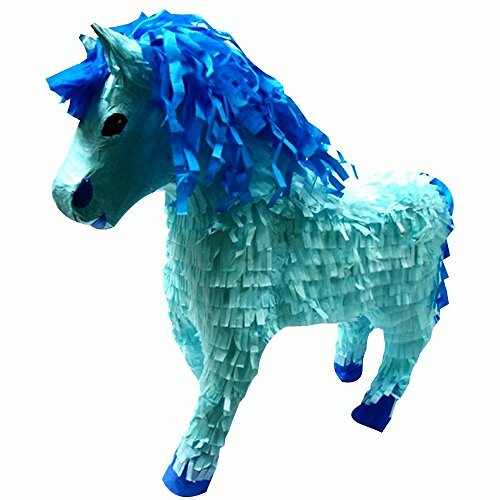 3D blue horse pinata measures 19 inches high by 19 inches long by 6 inches deep and features a 3 dimensional light blue horse with mane and tail of a darker blue. Pinata holds up to 2 pounds of toys and candy (sold separately). This pinata is the perfect decorative accent and most fun party game for kid’s birthdays on the fantasy theme.